Or maybe it's not. Maybe you are one of the people for whom Mother's day, with all its Hallmark cuteness and saccharine sweetness, is just a painful reminder of what you don't have. Maybe you can't have children of your own and Mother's Day is just a yearly reminder. Or maybe you lost your mum; through illness or old age. Or maybe your Mum didn't know how to mother you and the day just shows how flawed she was. Or maybe you are like me. My Mum did a great job but due to various situations we no longer speak. We haven't for the past 6 years and I don't see that changing any time soon. Once you step into your authentic awareness you can't go back and be the person they want you to be regardless of who they are. 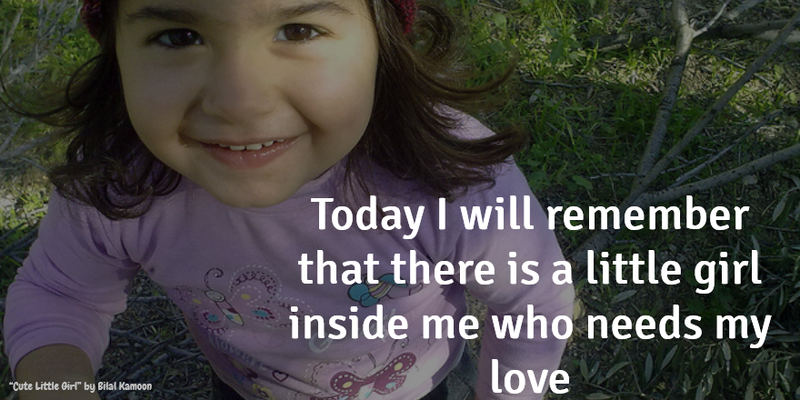 Start your day by tuning in to the wounded child within you. What does she most need from you today? Rest? Play? Whatever it is go do that. (2) What didn't you get when you were younger? Maybe you needed more affection than you got. Or maybe you needed a space to yourself. Find a way to give that to yourself today. I read this article today and loved the part where a women mentioned that her three year old daughter talks to herself saying " It’s ok little sweetie, you’re tired …it’s ok, little sweetie, you need a snack and a drink.” Maybe we all need to take a leaf out of her book and start talking to ourselves the same way. Regardless of what you are going through be gentle with yourself. Take a nap or head to bed early. Cry if you need to. Do whatever feels right to you at that moment. 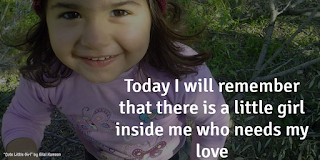 Sign up for the emails http://eepurl.com/bea4Bj and get a daily dose of self love inspiration.